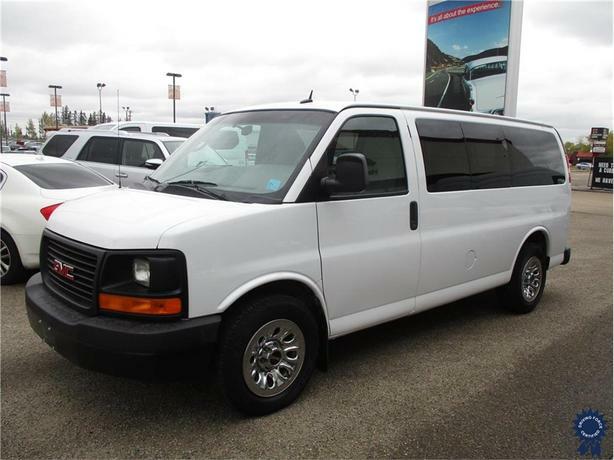 This 2013 GMC Savana 1500 SL 8 Passenger All Wheel Drive Van is an extremely rare find in the used commercial passenger vehicle market. It comes with a 4-speed automatic transmission with over-drive, 3.73 rear axle ratio, 17-inch steel wheels, cloth seats, locking differential, 145-amp alternator, tilt wheel and cruise control, power door locks and power windows, remote keyless entry, rear manual climate control, rear window electric defogger, and GVWR rating of 7,300 lbs (3,311 kgs). The Vortec 5.3-litre V8 gas engine provides 310 horsepower at 5,200 RPM and 334 lb-ft of torque at 4,500 RPM. Touch base with us to discuss purchasing or financing options that are right for you and experience the difference you will only find at DRIVING FORCE Vehicle Rentals, Sales and Leasing.